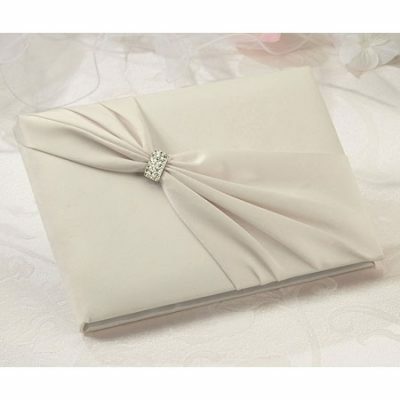 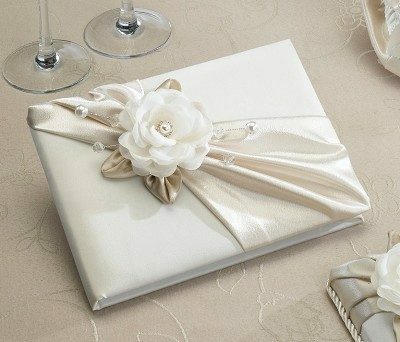 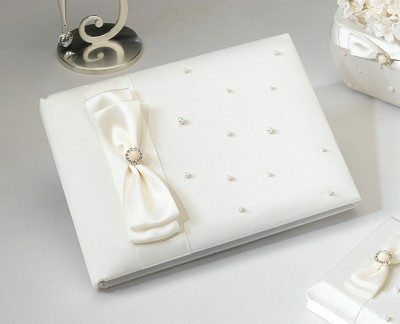 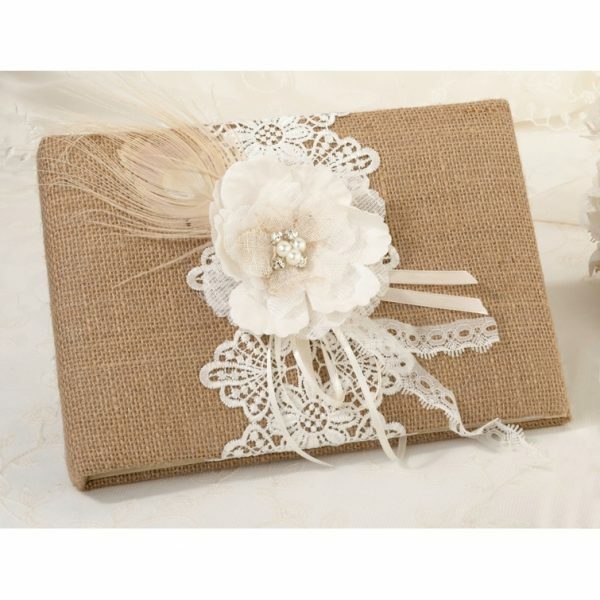 This guest book is covered in burlap and decorated with a rhinestone filled, hand crafted paper flower. 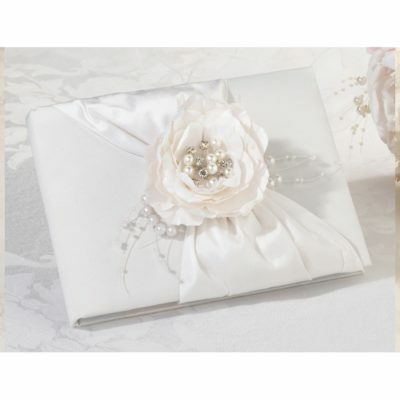 A natural peacock feather and intricate lace design can be found under the flower. 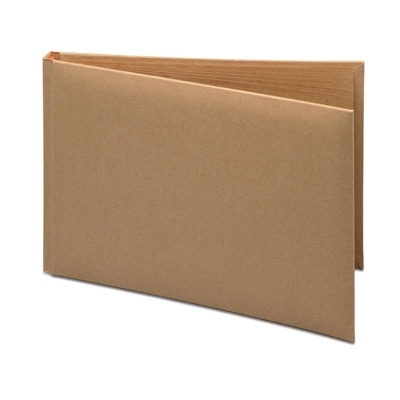 Measures 10″ long and contains 30 pages for 580 signatures.